Today I'm wearing a steal I nabbed from Macy's. 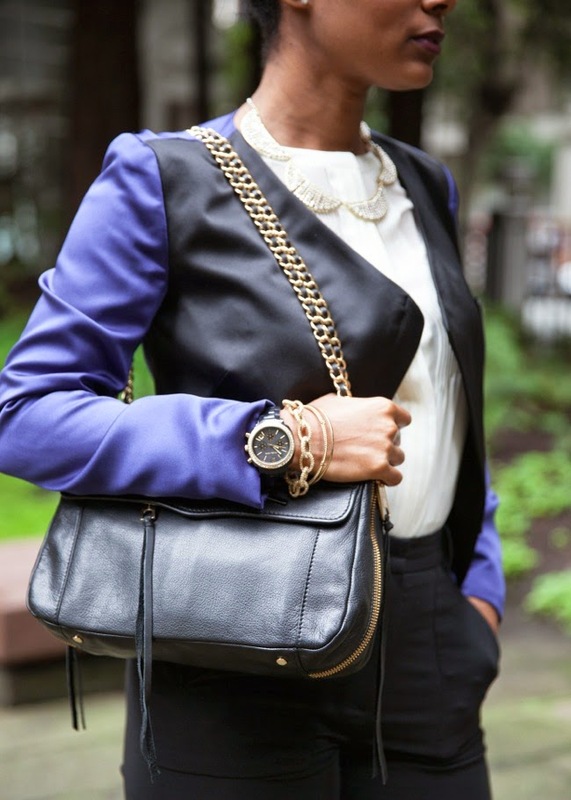 This Rachel Roy color block jacket was on sale and the total cost was under $100 bucks! Unfortunately, it's sold out at Macy's but I found a few available on eBay! It's available in a size 0, size 4, size 6 and a size 8. I've been seeing color blocking everywhere, jackets, handbags, dresses, shoes...and I love every ounce of it, the more contrast the better! So elegant and pretty! I LOVE your updo. How do you do it?? I can't put up my hair to save my life (unless we're talking about a ponytail). If you have any tips please let me know! !